Chris Bribach, Plants On Walls. Fork Cafe, Florafelt Vertical Garden Planters. Starring… the philodendron! Did you know there are over 400 species? Looks like Chris Bribach, designer for Plants On Walls, went bananas for this popular plant the world over. He created this handsome wall of philodendrons for Slurp Noodle Bar on Castro Street in San Francisco. The towering jungle creates an instant signature environment. Customers enjoy its refreshing sense of urban green over their breakfast, lunch, dinner or drinks. The word philo is Greek for love or affection, and dendron means tree, so, there you go. 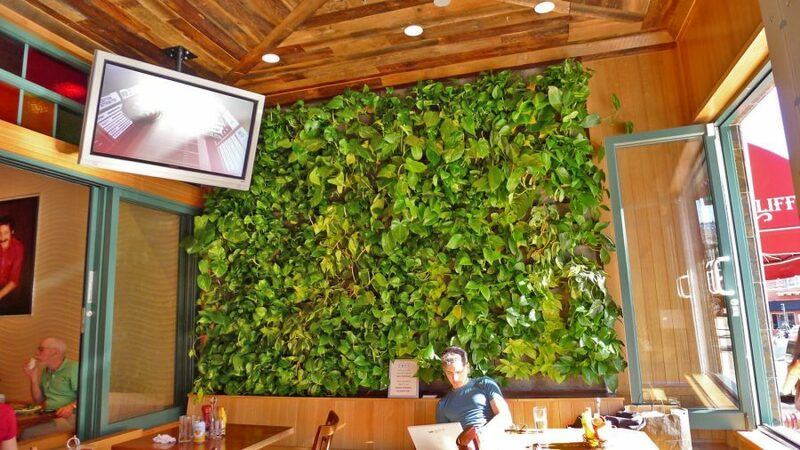 Visit the vertical garden and Slurp Noodle Bar, Castro Street near Market.